This is my site about the future of education. In the spirit of DIY U, I made it myself–with help from friends, colleagues, and Twitterfolks. You might also be interested in my new free ebook and website The Edupunks’ Guide full of resources for independent learners, my Fast Company column Life In Beta, my Tribune Media column The Savings Game, my Book DIY U: Edupunks, Edupreneurs and the Coming Transformation of Higher Education, my Twitter feed@Anya1anya, or in having me come speak at a campus or gathering near you. I’m a big proponent of your work (not only because it’s very insightful, but because we share many of the same professional interests). I was curious if you think this idea has merit: http://blog.theascendancegroup.org/post/how-could-new-ideas-change-education/. 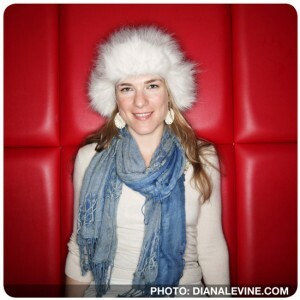 Anya – I can’t wait to get the book – I saw an ad in FastCompany on a whirlwind trip to Philly this past weekend. I would love to blog about this and look forward to sharing notes with my colleagues. We are edu-preneurs in music education (talk about a tough row!) and I have been espousing this coming change for years. As usual, our profession still refuses to adopt the internet but we at musicked.com remain undaunted! Thanks and best! Do you send out occasional e-mail updates? Let me know. 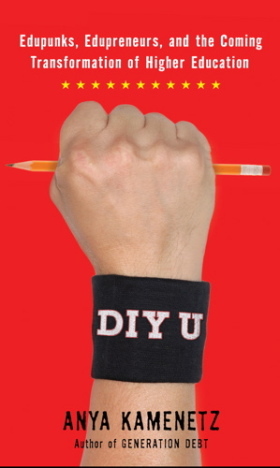 What does “DIY U” stand for? Thanks. Excellent!! Forward-thinking and right on with things I’m thinking about. Open Ed is the way of the future! Let the Education Revolution continue! Thank you for this book! I am a fledgling institutional researcher at a community college. If we can develop ‘pocket schools’ (129) for children in other countries, how about ‘pocket classes’ for our students who place into remedial/developmental classes? The ‘class’ could be OLI with scaffolding (thank you Vygotsky), self correcting, etc. Is there an app for that? Speaking of developmental classes….in the Resource Guide…a suggestion…if a person decides that formal college is the way to go, s/he might want to find out if there is a placement test, and if so what it is. Many community colleges use Accuplacer. A prospective student could ‘practice’ at the accuplacer.com site. This works well for students who may just need to review or brush up on skills…..and can potentially save time and $. Again, your book is a *GREAT* resource. My first thought was that it is Do It Yourself You, but in the book it is Do It Yourself University. I think both interpretations are right . Keep up the good work Anya. Dear Anya: I’ve read your book “DIY U” twice and am half-way through reading it the third time. This is the type of book I was looking for last year, in my quest to seek free yet credited or recognized education. People’s situation in Canada is quite similar to the States: If you don’t have a post-secondary diploma, you’re likely to get a survival job and probably stay there, and tuition fees are too high and students end up graduating from university with the equivalent of a small mortgage. I’m glad and grateful that you’ve touched these topics and offered some alternatives and ideas.